A FLURRY OF SPECIAL GUESTS & EVENTS! ~ The Toronto Hare Krishna Temple! A FLURRY OF SPECIAL GUESTS & EVENTS! With fall upon us, many special guests are making their way to Toronto to enliven and inspire everyone with seminars and more! The 2018 Parliament of the World's Religions is taking place in Toronto. On November 2nd Our very own HH Bhaktimarga Swami and his drama troupe will be performing "Many Mothers and Many Fathers". HG Anuttama Prabhu & HG Rukmini Mataji will be also be participating in the event. 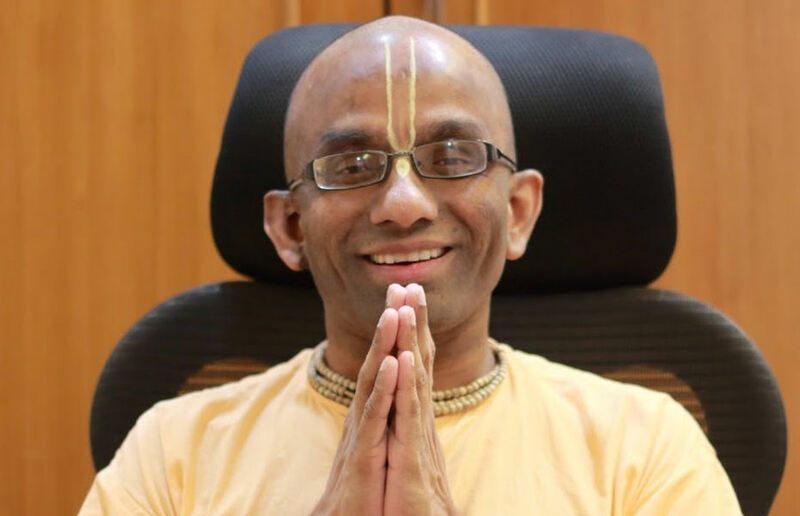 Chaitanya Charan prabhu will be making another visit to the GTA and will be giving the Sunday discourse at both ISKCON Brampton and ISKCON Toronto on November 4th. Prabhu will also be conducting a seminar at ISKCON Scarborough on Saturday, November 3rd; click HERE for more information. He is a member of ISKCON’s leading intellectual body, the Shastric Advisory Council, and is the associate-editor of ISKCON’s global magazine, Back to Godhead. He is the author of the world’s only Gita-daily feature, wherein he writes daily a 300-word inspirational reflection on a verse from the Bhagavad- Gita. He has written over seventeen hundred Gita meditations that are posted on www.gitadaily.com and are read through daily feeds by thousands from all over the world. Gauranga prabhu will be conduction a seminar on Four Principles of Community Development, click HERE for more Information. HG Gauranga prabhu will also be giving the morning Srimad Bhagvatam class at ISKCON Toronto On Saturday, November 3rd and Sunday, November 4th. Making one of their many trips to Toronto's Hare Krishna Centre are none other than His Grace Vaisesika Prabhu and Her Grace Nirakula mataji! They are truly members of our large community and we are very excited to have them once again to encourage our many sankirtan initiatives. Sankirtan refers to the process of sharing our spiritual culture through book distribution. Stay tuned for more information.